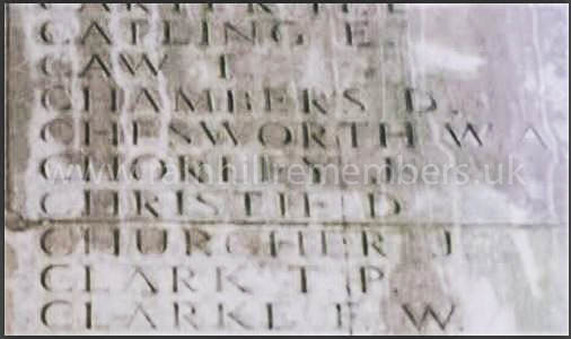 William Alfred Chesworth was born in October 1891 to Alfred and Jane Chesworth at Carlton Street, Prescot. His father, William was an Assurance Agent, born in Prescot while his Mother, Jane came from Radnorshire. By 1911, the Chesworth family had moved to 15, Ellaby Road, Rainhill and in the census 17-year-old William is listed as a wire cutter working in the copper wire factory in Prescot (BICC). 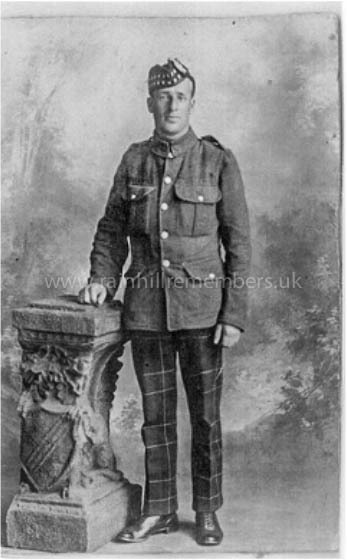 William enlisted in the army in St Helens becoming Private 18423 King’s Own Scottish Borders, 2nd Battalion. On 15th August 1915 the 2nd Battalion landed in Le Havre and by July 1916 William’s Battalion joined the British Infantry in attempting to break the deadlock of trench warfare and the British Division attacked and “went over the top” attacking the Second German Army. 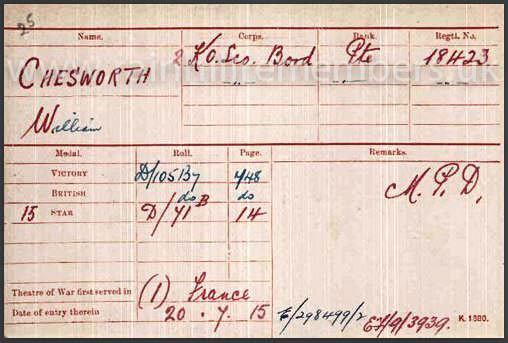 William Chesworth's Medal Card showing that he was entitled to the Victory, British War and Star Medals. The name of Chesworth W. is inscribed on Thiepval Memorial.